As part of the legal battle over the four-game suspension Tom Brady received for his role in the deflation of footballs during the AFC Championship game, the NFLPA filed a number of documents in court Tuesday, including the full transcript from Brady’s June 23 appeal hearing. If you’re a masochist you can read the entire 457-page transcript, or my 9,000 word annotation of it, here. Who has time for that, though? Instead, as one of the handful of people dumb enough to have read the entire mind-numbing transcript, here are my thoughts on its most important revelations. To be clear, I have no idea whether the court will overturn Brady’s suspension, but I have spent 14 straight hours reading and writing about this thing, so that has to count for something, right? A California-based scientific and engineering consulting firm named Exponent was paid over $600,000 to prepare a report for Ted Wells, which concluded that the low PSI readings on the Patriots’ footballs could not have occurred naturally. At least half of the appeal hearing was spent arguing over Exponent’s findings, with each side trotting out experts and citing reviews of the findings. None of it should have mattered. Arguing over statistical models and their interpretation misses the more important point, which is that the data used is so unbelievably sketchy and imprecise that it’s criminal to draw any conclusions from it. The lists of unknowns is so damn long—for starters: what the PSI of the Patriots’ and Colts’ balls were pre-game; which of two pressure gauges Walt Anderson used to measure them; the temperature of the officials’ room pre-game and during half-time; at what time and in what order each ball was measured—that drawing any conclusion necessitates making so many assumptions as to leave reality and enter a fantasy world. Throughout the entire cross-examination by the NFL’s lawyers, Brady comes off as purposely evasive. Ted Wells requested the contents of his text messages and emails multiple times, but on advice from his agents Brady refused to provide them. He said that if he had known how important they were he would’ve handed the messages over, but that’s a pretty convenient answer after you have already failed to do so, and after you know that it is impossible to retrieve them. He also destroyed his cell phone a day or so before he talked to Wells. 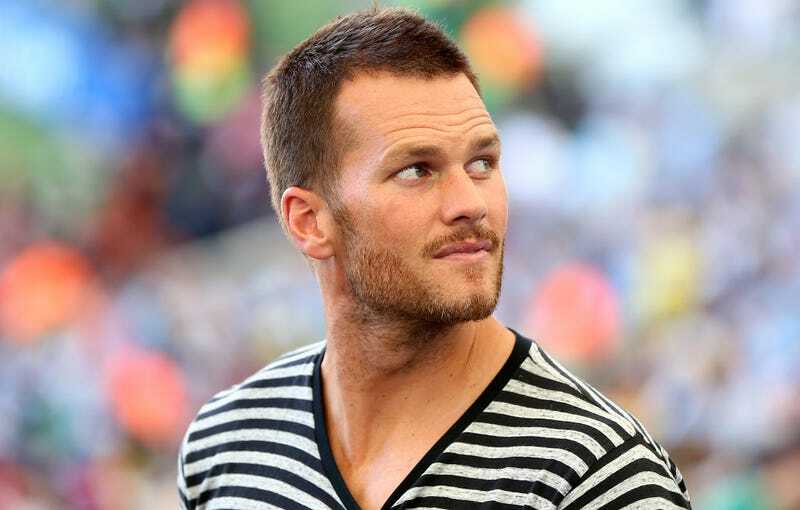 Brady gives conflicting answers regarding the importance of the precise inflation of footballs. He says that he can’t really tell any difference because he doesn’t squeeze the balls hard, and that things like smoothness are what he cares about. Yet, he also went ballistic after an October 2014 game against the Jets when the balls were inflated to 16 PSI because the footballs were too hard. Clearly he has some understanding that pressure is important. He also professes to have been ignorant regarding the NFL’s inflation rules, which seems awfully naive for somebody so involved in directing staffers precisely how to prepare the footballs. Finally, despite speaking on the phone with equipment assistant John Jastremski at least eight times in the three days after the AFC Championship game, Brady is vague about what they discussed. He generally asserts they talked about preparing footballs for the Super Bowl, as well as about the quickly mushrooming controversy, but that’s it. That doesn’t seem to necessitate eight conversations, a number of text messages, and at least one face-to-face meeting. Among other things, the unusual pattern of communication between Mr. Brady and Mr. Jastremski in the days following the AFC Championship Game cannot be readily explained as unrelated to conversations about the alleged tampering of game balls. Q. And do you recall what you and John Jastremski discussed during that11-minutes-and-one-second telephone call? A. I don’t remember exactly what we discussed. But like I said, there was two things that were happening. One was the allegations which we were facing and the second was getting ready for the Super Bowl, which both of those have never happened before. So me talking to him about those things that were unprecedented, you know, he was the person that I would be communicating with. This shouldn’t be too far out of left field, as just the fact that he was retained and paid by the NFL colors his objectivity, but Ted Wells’s investigation wasn’t independent. At the hearing he said he considered the NFL to be his client, and thus refused to divulge some of his conversations with the league, citing attorney-client privilege. He gave NFL general counsel Jeff Pash a draft copy of the Wells Report, and let Pash comment on it. Wells asserts that these comments didn’t “substantially” change anything, but that’s not really the point. The most laughable violation of independence, however, occurred at Brady’s appeal hearing. While Wells was a witness grilled by both sides, his deputy and the main author of the Wells Report—Lorin Reisner—sat at the NFL’s table and helped them poke holes in Brady’s appeal, and even conducted Brady’s cross-examination. C’mon. Ted Wells testified that his team billed between $2.5 and $3 million, and paid at least an additional $600,000 to the outside scientific experts. That doesn’t include the cost of high-powered attorneys to prepare for and attend Brady’s 11-hour appeal hearing, nor the cost of attorneys for the current legal battle. Did anything jump out at you from reading the hearing transcript (hah! ), my annotation of it, or other news reports? Drop it in the comments.